Has this ever happened to you? As a retiree, you want to earn some extra cash, and you've found what looks to be a legitimate online survey site, and you go there and sign up hoping to make some extra cash. After filling out all of the paperwork, you finally get started. First you have to qualify for the survey. So, you are on a roll answering the questions, making certain to really think about your answers. On about the third question, you're disqualified—the survey wanted someone younger with small children at home. How disappointing! You try three more surveys—same thing—you don't qualify for them either. Well, survey sites are not the only way to make extra money online! This article will show you 10 ways that you can earn extra money doing online jobs other than surveys. So, What Are These 10 Ways To Earn Extra Cash? Fiverr.com – Read Fiverr Review—This site sells just about any kind of freelance service, and photography is no exception. Just sign up with an account and start selling. Etsy – Read Etsy Review – This well-known site is used to sell crafts, but there are non-craft items that also sell well. One of these is photos, which can be used in a variety of ways. Anything from photos to frame or put on tee-shirts. Foap – If you do not have a lot of expensive cameras and equipment, this site will allow you to sell the photos on your iPhone. If your images sell, Foap will split the profits with you 50/50. Payment varies and is once a month on PayPal. Obeo – Read Obeo Review – Obeo hires even amateur photographers to photograph homes for sale in your area. A set of home pictures can fetch $30 to $60. Shutterstock– A well-known site to sell your downloaded images and video. There is even a referral program to help you earn more when you refer other photographers and customers. Earn up to $30 for a downloaded image or video. If you were in marketing or customer service in your past work life or just want to shop, eat or talk on the phone—here you go! You can either get out of the house with this one or stay at home. There are plenty of sites out there that need for you to pose as a consumer as a mystery shopper, or do other tasks like pet-sitting and delivering food. Field Agent — See Field Agent Review – If you have an iPhone then you will want to download the Field Agent app and begin taking advantage of mystery shopping jobs in your area. GAPbuster – See GAPbuster Review – This site will allow you to shop or dine outside of the house and serves many different industries. The main requirement will be to be a good record keeper. GigWalk — Read GigWalk Review – Another mystery shopping job using your iPhone. You may be asked to take pictures, answer questions about a product or count items on a shelf. Mobee – See Mobee Review – This site has a really good GPS tracking device to show that you really are in the store. You can take surveys but you can skip them and just do the shopping part. Easy Shift – See Easy Shift Review – Each job pays between $2 and $20 dollars, and you can actually just do this at home using your iPhone or iPad. You would be making phone calls. Rover – Read Rover Review – If you're an animal lover, you can sign up on Rover and accept pet-sitting jobs in your area. Most people who sign up and are accepted as sitters report getting their first pet-sitting gig within a week or so. DoorDash – Read DoorDash Review – DoorDash is an app some people use to request fast food and restaurant orders delivered to their doorstep. DoorDash is regularly looking for people to be “dashers” and deliver these orders. You can use your own car to do this and work on your own time. Cambly — Read Cambly Review – This site is probably better known than most of the other online tutoring platforms. You will be helping students and some adults with their English, which will be their second language. You do not need a degree for this—just a good command of conversational English and a webcam to talk to the students overseas. GoGoKid – Read GoGoKid Review – If you have a Bachelor's Degree in any subject, you can help children learn English. The hours are flexible and you may or may not have the same children all the time. VIPKid – Read VIPKid Review – This site will accept applicants with “formal” or “informal” teaching experience such as mentoring, tutoring or other alternatives as well as Bachelor's Degree in any field. This is primarily ESL teaching. Brainfuse – Read Brainfuse Review – This site requires at least a Bachelor's Degree or higher with experience. You can do one-on-one with students or a group of students. TutorMe – This is a worldwide site that is open to applicants with previous teaching or tutoring experience with a mastery of the subject matter. If you don't have a degree, you must be working on it. Amazon Handmade – Read Amazon Handmade Review – You can use Etsy and Amazon Handmade at the same time. You sign up with a profile and Amazon will even give you a barcode if you desire. You can even include your handmade items in the Amazon Fulfillment Program. Artfire – Read Artfire Review – This is another popular site that has been around for a number of years. There is no listing fee, but there is a monthly fee of about $20. Bonanza – As its name implies, it is a “large” online craft store of “anything but the ordinary”. What makes Bonanza so unique is that it is able to combine both the market place (individual sales) and the web store. Craftsy – This is a place to sell your own craft patterns. If you have a few designs that you think would be good for a particular craft, then you are invited to sign up and start selling them. Etsy – Read Etsy Review – While it has been mentioned before, it is such a popular site for selling all kinds of handmade items. Crowd Content – Read Crowd Content Review – This site hires writers and editors and sometimes proofreaders. You will need to sign up and create an account. Talent, Inc. – Read Talent, Inc. Review – This site hires worldwide. Get paid $20 per resume to start. The pay is monthly. Textbroker – Read Textbroker Review – This is considered the “granddaddy of them all”. While you won't become rich you will earn about $.07 a word. However, this is a great place to begin or if you are an experienced writer, there are higher levels for you to start at as well as earn. Levels go up to 5, and pay is weekly on PayPal. ProBlogger – This site lists clients who want you to write articles for their blogs. There are food blogs, fashion blogs, and just about everything else. The pay will depend upon the client, and the rate of pay is unfortunately not always listed for each opportunity. Upwork – Read Upwork Review – There are all types of writing and many other freelance services available. Once you sign up with Upwork, you can pick and choose what you want to write and your clients. Pay will vary and depend upon the client, but Upwork will make certain you are paid via PayPal. Clarity – Once you sign up and are approved as an expert, clients will be able to decide if you are the one to help them with their business challenges. You must have a Facebook or LinkedIn profile to qualify. Ingenio – This site focuses on personal counseling and relationship counseling. You can set your own rates here and handle your consultations either by phone or chat. JustAnswer.com – Once you are approved on this site, you may work as much or as little as you want. There are over 175 categories and this site is available in over 30 different countries. You can work as much or as little as you want and when you want. Maven – This site allows you to become a “microconsultant,” because everyone knows something or is an expert on something. There are 11 categories to choose from and you will be answering questions via email or chat as well as doing phone consultations. There are even long-term projects in which you could get involved. Skillshare – This site is where you go to teach—even without a degree in education. As long as you have the skill or expertise, you can create classes and lesson plans right there on the site. Consumers basically buy your course(s) similar to Udemy. If you are okay with this, this is another way for retirees to earn money- especially, since most retirees like to travel and now have the time to do so. Also, most of us have lived long enough to have accumulated quite a bit of stuff to rent out! Airbnb – Read Airbnb Review – Rent out your home, vacation home, apartment or even your igloo if you have one! Charge what you want and decide how long the renters/vacationers should stay. Campanda – Rent out your camper or RV. Campanda will insure it for $1 million in liability with roadside assistance. Outdoorsy – Similar to Campanda, you just have to decide what to charge and for how long. Store at My House – This is a place to rent out any spare space you in your home and charge what you want. It could be an attic, basement, room, tool shed or garage. Turo – Rent out your car, and they will insure it for a million dollars with 24/7 roadside service. Decide what to charge. Quicktate – Read Quicktate Review – This transcription site pays twice a week and does require a background check due to the sensitive nature of the work. You must also pass the entrance test. Rev – Read Rev Review – This site offers both transcription and video captioning. They also hire beginners. Scribie – Read Scribie Review – This transcription site pays via PayPal, and you can cash out with just $1. You must pass the entrance exam. Transcribe.com – Read Transcribe.com Review – This transcription site is a lot like TranscribeMe, and is a good place to begin doing transcription. It also pays daily. TranscribeMe – Read TranscribeMe Review – This site pays weekly via PayPal and you must pass the entrance test. It does not always have an abundance of work, but it is a good side gig to something else. Usability testing is a good option for those who enjoy technology or have a background in that. You will be testing out websites, apps, and software to find bugs and also to see how “user friendly” they are. Most sites will take new applicants as long as they can pass the entrance exam. Enroll – Read Enroll Review – Enroll pays once a month via PayPal and is basically done on a first come first serve basis. In other words, whoever can log in and get to the web tests the fastest. Erli Bird – Read Erli Bird Review – This usability site allows you to test sites, apps, and tech gadgets. It has a one-week turnaround for the pay once you begin working. User Testing – Read User Testing Review – This site pays via PayPal, and you can do up to 15 to 20 tests with each one paying $10. You do not have to live in the United States to participate. Userlytics – Read Userlytics Review – For this site you will be browsing websites and sometimes comparing multiple websites. Payout is fairly quick, and you are paid $10 per website. uTest – This site is for beta and alpha testing software. It is one of the better paying sites, but usually you will need to be fairly technically inclined to make good money there. Fancy Hands – Read Fancy Hands Review – You will be doing a wide range of tasks ranging from calling and rescheduling someone's dental appointment to finding a movie review online. Tasks pay $3 to $40 each. Life Bushido– Read Life Bushido Review – You will be working in a team doing various tasks. You may work between 5 to 20 hours per week. Team Delegate – You will be doing a variety of tasks for this company including calendar and time management, making travel arrangements, PowerPoint presentations, and taking dictation. Time Etc. – Read Time Etc. Review – This company is based in the UK, but hires in both the UK and US. The type of work and clients will be given to you based on skill. The pay range is $11 to $16 hourly. 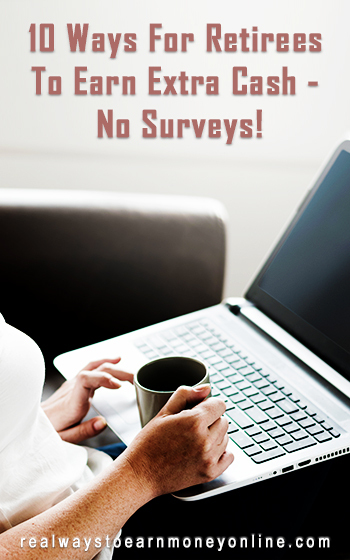 Don't be discouraged because you aren't qualifying for low-paying surveys. There are so many more (lucrative) ways to make extra money online! @Sandy – I live out in the “boondocks” too, but I have been able to have high-speed Internet via cable. But sometimes even with that, high-speed wasn’t “high” enough for some companies. However, you can always check with the company first or read their job description before applying. I have definitely heard and know of one person doing retail arbitrage on Amazon–so yes, it is definitely a reality. Hello. I am having problems finding work at home mainly because of my internet connection. It is not high-speed. I live in an area (“the boondocks”) that does not have the capability yet to have cable internet. I have satellite. I have not had any problems so far and the speed is just fine also. Also, I am “retired” because I was laid off and now no-one wants to hire me, I assume, because of my age, 70 years young. Are there any at-home jobs out there that will accept satellite internet? Also, I was thinking of selling “retail arbitrage” on Amazon. Can that be a reality? Thank you for your useful comments. @Chris – Yeah, I know. It is wonderful. Isn’t Anna the greatest? @Cynthia – I have coached and helped many retirees just like yourself. I would say start with this list and see what appeals to you. There are so many more companies out there, but I think these are particularly appealing to those over 50. However, a big part of working from home is staying proactive with your search. Hi, I am 67 years old and would like to get a part time job. I am disabled and have good days and bad days cause of my pain. I do not want to do any surveys at all as I tried them and do not make any money from them. I only went through 12th grade. I am looking to make anything from $200.00 to $400.00 or more a month. So if you can help me with a job that would be great.